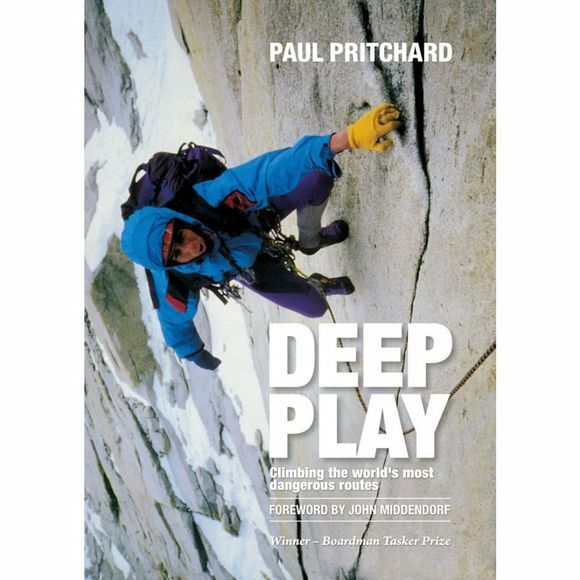 Winner of the 1997 Boardman Tasker Prize for Mountain Literature, Paul Pritchard's Deep Play is a unique, stylish and timeless commentary reflecting the pressures and rewards of climbing some of the world's hardest and most challenging rock climbs. Pritchard started climbing in Lancashire before moving to join the vibrant Llanberis scene of the mid 1980s, at a time when the adventurous development of the Dinorwig slate quarries was in full swing. Many of the new slate routes were notable for their fierce technical difficulty and sparse protection, and Pritchard took a full part in this arcane sub-culture of climbing and at the same time deployed his skills on the Anglesey sea cliffs to produce a clutch of equally demanding wall climbs. Born with an adventurous soul, it was not long before Pritchard and his friends were planning exotic trips. In 1987, paired with Johnny Dawes, Pritchard made an epoch-making visit to Scotland's Sron Ulladale to free its famous aid route, The Scoop. Pritchard and Dawes, with no previous high altitude experience, then attempted the Catalan Pillar of Bhagirathi III in the Garwhal Himalaya in India, a precocious first expedition prematurely curtailed when Pritchard was hit by stonefall at the foot of the face. In 1992, Pritchard and Noel Craine teamed up with the alpinists Sean Smith and Simon Yates to climb a big wall route on the East Face of the Central Tower of Paine, Patagonia. Pritchard followed this with an equally fine first ascent of the West Face of Mt Asgard on Baffin Island. Other trips – to Yosemite, Pakistan and Nepal as well as returns to Patagonia – resulted in a clutch of notable repeats, first ascents and some failures. The failure list also included two life threatening falls (one on Gogarth, the other on Creag Meaghaidh), which prompted the author into thought-provoking personal re-assessments, in advance of his later near-terminal accident on The Totem Pole in Tasmania.